Among the final highlights of the Sydney Science Festival held during National Science Week 2018, the free public event will feature interactive workshops, games and gadgets, daring and highly-visual demos, the latest in drones, Australian wildlife displays, job-future info sessions, a pump-track around the Olympic Cauldron for BMX, skateboard and scooter riders, and much more amid a carnival atmosphere for families. 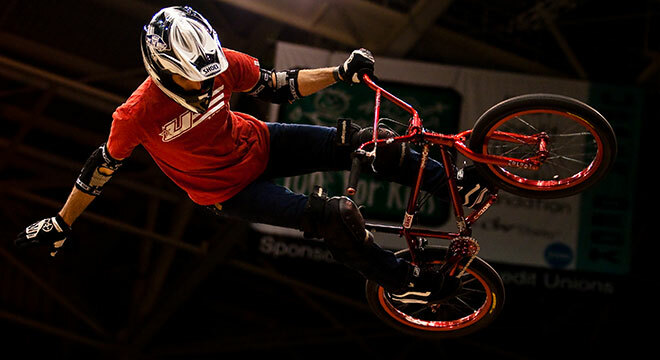 X Games gold medallist Jason Cousins is sure to inspire action sports fans at the pump-track, where there’ll be BMX shows with quarter-pipe demo riders and explanations of the science behind their incredible tricks, flips and roller jump feats. Jason won gold at the 1998 X Games and is the only Australian to win national events in both BMX racing and BMX freestyle. He is now Founder and Director of Youth Services Australia. There'll also be a real-time discussion with a Mars Rover expert from the USA and the Segway security robot 'Nimbo' – recently featured in news reports for revolutionising the security industry – will be greeting guests throughout the event. The 2018 Innovation Games will be held at Cathy Freeman Park, nearby the Bledisloe Cup match at ANZ Stadium and within walking distance of Spotless Stadium, where the GWS Giants will play the latest edition of the AFL’s Sydney derby against the Swans. "The theme of this year’s Innovation Games is ‘Racing the Future’, and it will provide people with a great opportunity to experience sport science and technology amidst the buzz of two top tier football matches,” said Sydney Olympic Park Authority CEO Charles Moore. “Science and technology is woven into all aspects of life including sport, and one of our aspirations is that Sydney Olympic Park becomes the ’Silicon Valley’ of sport. A example of what can be achieved is our Sydney Sports Incubator, based here in the Park, which already has over 30 start-ups driving innovation and will be among the exhibitors at the Innovation Games, ” said Mr Moore. The event kicks off at 12pm.